Need a Summer Fundraising Idea? Summer break is here, and that means you’re looking for ways to keep your kids busy and boredom free! Our summer intern Megan has a few tips on how to help. Here are a few ideas that are sure to be fun while teaching your kids about helping others! It’s fun with a purpose. As you’re having fun, donate the funds raised from these summer activities and help provide clean water for kids in Africa! 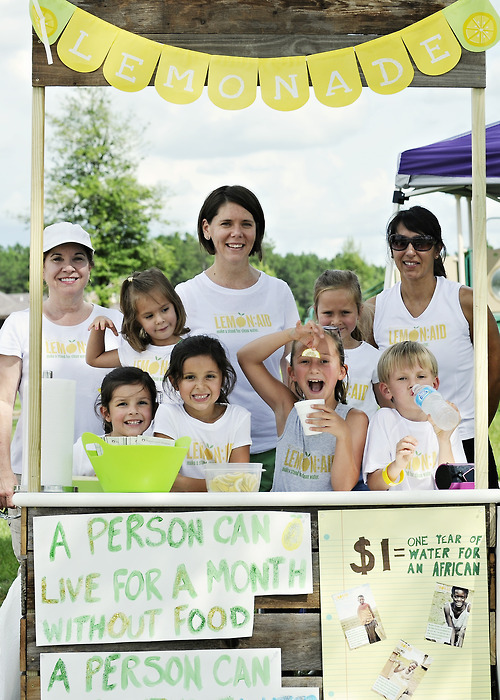 Lemon:Aid Stand A Lemon:Aid stand will not only quench the thirst of someone in your neighborhood but also kids halfway around the world in Africa. $1 for each delicious cup! Paper Boat Race Grab your craft box, build and decorate your boats and line them up to race toward the finish line! Each boat is $1 to race. Bonus points to those with the coolest designs! Water Balloon Fight Host a community water balloon fight! Every balloon cost 25 cents. Play every man for himself or divide and conquer in teams! Cannon Ball Contest Have a pool? What about a cannon ball contest with a $5 entry fee! The bigger the splash, the better! Slip-and-Slide Host a neighborhood slip and slide! $1 a slide provides 1 year of clean water for someone in Africa. Get creative and teach your kids about helping those in need! These fun activities are sure to keep them entertained in the summer months. Check out The Walter Project for more ways to get involved!